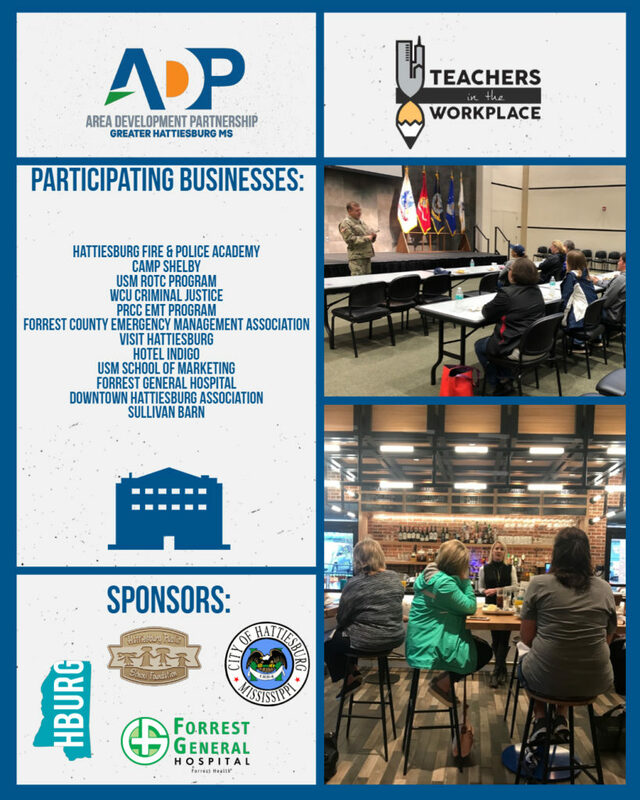 The ADPs education initiatives strive to create a workforce ready community by connecting K-12 faculty to business needs and connecting students to workplace realities. By offering programs such as Jumpstart to Success, Mission Possible, and Teachers in the Workplace, the education and business communities are able to unite and prepare students for the future. Jumpstart to Success is an interactive career expo geared toward 8th & 9th grade students in Forrest, Lamar and Perry Counties that encourages them to take the first steps in planing for their future. This program hosts over 1,000 area students and provides them with a glimpse of workplace realities while educating them about the various opportunities that are available in industries throughout the region. Mission Possible is an experiential day of learning for 11th graders in Forrest, Lamar, and Perry Counties. 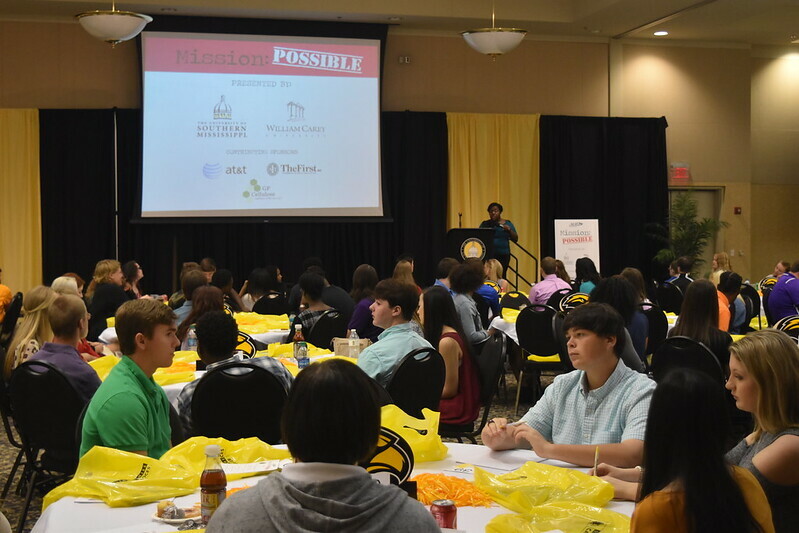 Mission: Possible focuses on enhancing students’ soft-skills, such as resume writing, presentation and interviewing skills, business communication, and job etiquette. This program hosts over 500 students from Greater Hattiesburg’s 8 public school districts. Teachers in the Workplace is an education initiative of the Area Development Partnership that helps connect K-12 faculty to business needs. Educators from Forrest, Lamar, and Perry Counties are immersed in industries located in Greater Hattiesburg. This program focuses on what students should be learning in the classroom so teachers can better prepare their students for the standards that employers are seeking in today’s technology driven workplace.